Each year, there are ten official federal holidays. On these days, federal employees typically have the day off, barring those who perform certain critical functions relating to safety and security. Additionally, some businesses close for federal holidays as well, so a federal holiday schedule can be helpful. If you’re wondering about federal holidays for 2019, here is a handy list. On federal holidays, most government offices are not open, including post offices. In addition, many financial institutions, such as banks and the stock markets, close for the day as well, though this isn’t always the case. Who Gets the Day Off on Federal Holidays? There is a common misconception that surrounds federal holidays; that everyone should get the day off. In reality, only federal employees are essentially guaranteed to have the day off, aside from those who work in critical safety or security roles. For example, some employees from the Transportation Security Administration (TSA), U.S. Customs and Border Protection (CBP), Federal Bureau of Investigation (FBI), Department of Defense (DoD), and similar agencies will have to report to work on holidays. This is because they perform critical functions that keep the country safe. Even though the holiday technically only applies to federal workers, many other companies and agencies also give their employees the day off. This means they close their doors in recognition of the holiday. However, not all organizations shut down for all holidays, including certain government agencies. For example, though most state governments close their offices for federal holidays, Washington State employees do not get Columbus Day off as a holiday. Are Federal Holidays Also National or Public Holidays? No, federal holidays are not national or public holidays. On a public or national holiday, everyone would get the day off. This means every business would close for the day, as it would essentially be required by law. 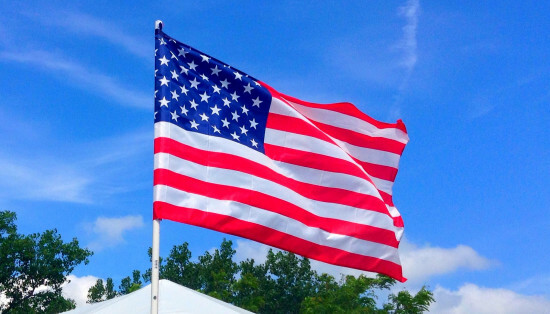 In the U.S., there are no national holidays. However, many other nations do have public holidays. What is Closed on Federal Holidays? Outside of the federal government, whether an organization chooses to close is in the hands of their corporate office or upper management teams. This means some businesses may shut their doors for every holiday, others only acknowledge a few, and some don’t close at all. It’s also important to note that some organizations may open for the holiday, but only for a limited number of hours. Additionally, some may choose to close early the day before a holiday as well, particularly on Christmas Eve and New Year’s Eve. In most cases, federal agencies are not open on Sundays, except for those focused on public safety and security. While they do not formally recognize any of the above dates as being the same as the other federal holidays, most federal employees will incidentally have the day off. Are you looking forward to any federal holidays in 2019? Share your thoughts in the comments below. Thanksgiving Day used to be a day where consumers could pretty much assume everything would be closed for the day, but that’s no longer the case. While the vast majority of institutions will shut their doors to let families celebrate the holiday day together, there are more and more retail outlets opening their doors, and the idea of Thanksgiving being a holiday for everyone is beginning to show cracks. For those who are planning to be out and about on Thursday, November 27, 2014, below you’ll find what you can expect to be open and closed for Thanksgiving. Large retail stores may open or may be closed. 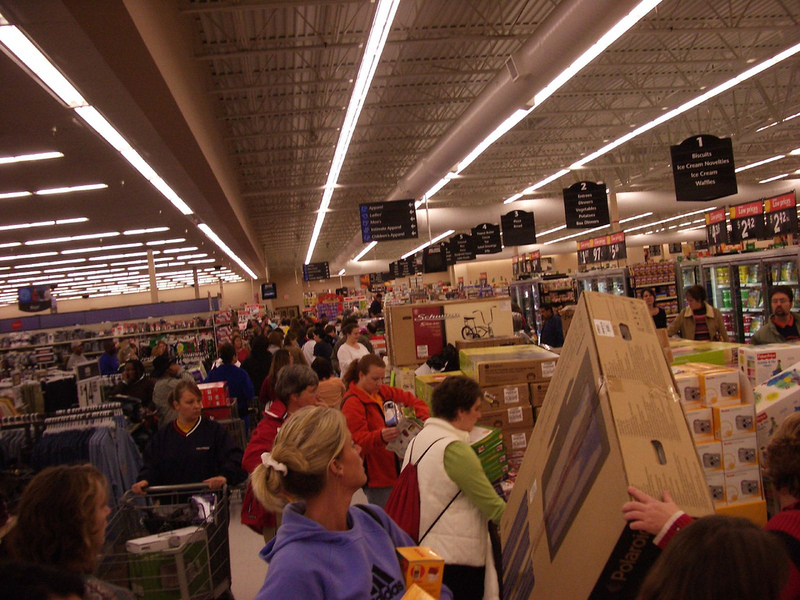 There are a lot of retail stores open on Thanksgiving Day, although this will be for limited hours for most. On the other side, there are a group of retailers who continue to refuse to open for Thanksgiving. For those stores that do open, here is a list of their opening times. For those who decide to take advantage of the deals available at stores which open on the holiday, don’t forget the most important rule to save money during sales — the price you pay for something on sale fails to be a good deal no matter how low the price if it’s something you would not normally purchase. When you purchase something because it has a good price and not because you need it, you are basically impulse buying on price, and that’s never a good thing. Drug stores are open. All three big drugstore chains (CVS, Rite-Aid and Walgreens) will open on Thanksgiving, but may have limited hours Local drugstores, independent drugstores and smaller chains will likely be closed. Contact them to confirm to be sure. Most gas stations should be open. While not all gas stations will be open, there should be enough in your area to fill up with gas if need be. Those along the highway should be open for travelers as well. The service departments of stations will be closed. Most major chain grocery store chains are open. Most major grocery chain grocery stores will be open for business on Thanksgiving Day (there are some exceptions like Trader Joe’s), but most will have limited hours. Smaller grocery stores and ethnic food grocery stores will likely be closed for the day. It’s best to contact to confirm opening hours before making a trip to one. Some restaurants will be open while others will be closed. Many national chain restaurants will be open while independently owned restaurants may have a special Thanksgiving Meal special. If you’re planning to go out to eat, it’s best to call to confirm whether or not they will be open and the hours. The stock markets are closed. 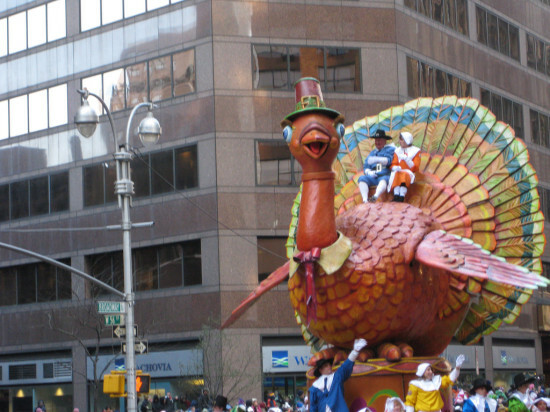 The New York Stock Exchange and NASDAQ stock market will be closed on Thanksgiving Day. Public libraries are closed. Public libraries will shut their doors on Thanksgiving (and many of theme will be closed the day after Thanksgiving as well). Schools are closed. Public and private schools will be closed for the day. Most schools will have the day after Thanksgiving off as well. Most garbage service will be rescheduled. Most people who usually have their garbage service pick-up on Thursday will have it rescheduled for another day. be sure to call your local garbage service to get the holiday schedule. Most government offices are closed. Thanksgiving Day is an official federal holiday, so all non-essential federal government offices will closed. There are some government services like air traffic control and law enforcement which are essential, and they will remain open. State and Local government offices are closed. Most state and local government offices will be closed for Thanksgiving, but essential services such as police departments and fire departments will remain open. Banks are closed. Both credit unions and banks will be closed for Thanksgiving Day. Some banking services that don’t require a teller can be done at AMTs, through the bank’s app or on the bank’s website. Post offices are closed. The US Postal Service (USPS) and all local post offices will be closed on Thanksgiving Day. There will be no home of business mail delivery. With over 65% of Americans ready to spend their hard earned cash on Black Friday this year, is it really worth all the crazy for the deals? Well, that depends on where you shop. Wallethub may have answered this question for you. In a recent study of over 5,000 deals for 22 major retailers, the company has published its findings on where to start and where you may need to stay away. So basing your store deal hunt on what is at the top of your list may be your best strategy, but that may also mean covering a lot of ground depending on the length of your list and the variety of gifts you need to purchase. It also should be noted the best deals will be found on Thanksgiving Day, not Black Friday. These stores will be open on Thanksgiving while these stores will be closed. Here are the top five in the most popular gift categories to give consumers an idea where to start. Toys are bound to be on your list somewhere and while it may be tempting to just hit the nearest big box store like Target to get the best discounts, it isn’t the best place to go. In fact, Target comes in at the number four spot of the top five retailers offering discounts on Toys. Kohl’s and CVS are number one and number two for those looking for deep discounts on toys. If jewelry is on your list, you’ll want to find the lowest pricing you can so you can get more for your money to make the gift even more special. The best places to get jewelry is at Kohl’s or Meijer, where the discounts are more than a staggering 78 percent off for both chains. JC Penney and Macy’s are not even close at under 65 percent savings. If you’re looking for apparel, head to Sears, where you’ll find clothing at almost a 70 percent discount. You may also want to stop by JC Penney and Macy’s where you’ll find over 60 percent discounts at both retailers. Are you looking for phones or computers specifically? Your first stop should be Office Depot or OfficeMax. The merged chain of office supply stores has the best deals by offering right around 40 percent off these items. And while you may assume Walmart to be number two on this list, it actually ranks fourth behind Staples and Radio Shack. If you’re looking for consumer electronics, Walmart isn’t even in the top five. Macy’s tops this one with a over 65 percent discount. Staples and Radio Shack have discounts of just above a 40 percent to place in spots two and three on this list. Overall, JC Penny rated first with the highest average discounts, followed by Macy’s, Rite Aid, Meijer and Sears. The bottom five on the list giving the lowest percentage discounts are Walmart, Best Buy, Amazon, Big Lots and Costco. This poses the interesting question. If the stores already offer deep discounts, did Wallethub include a comparison of original prices in their research? It stands to reason that the large discount retail chains already offering great everyday deals would have lower percentage discounts because thier prices are already deeply discounted. It’s that time of the year again when retailers are trying to entice you into their stores to spend all of your hard earned money. Commercials and advertising inserts are telling you what great bargains abound if you just visit their store this Black Friday, but what stores are really offering the best discounts? There are plenty of reason to skip the Black Friday sales, but if you have decided to brave the crowds to try to score some deals, it’s important to know which retailers are offering the best of them this year. This year many retailers are opening their doors on Thanksgiving Day to try to entice you with their deals (while others are refusing to do so). Where you might imagine the best Black Friday deals to be, and the actual list of top Black Friday deals, may surprise you. 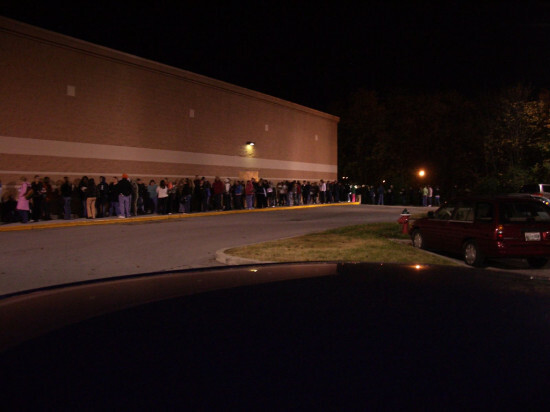 WalletHub has completed its Black Friday retailer survey and released their list of the best and worst Black Friday deals. This is a list you may want to take a close look at as you plan which stores to invade in the late night hours of Thanksgiving or the wee hours the next morning. In the survey, the company compared regular pricing to the Black Friday discounts in over 5,000 ads from the biggest retailers around including JC Penny, Walmart, K-Mart, and Target just to name a few. Who came out on the top of the list? JC Penney has the trophy, offering a discount of over 65 percent. Macys slid in by a narrow margin for second with an average savings of 53.52 percent savings. On the heels if Macy’s, shockingly, was drugstore chain Rite Aid at 53.34 percent average savings. Bringing the top five to a close were two more really close calls. The grocery store chain Meijer averaged 50.85 percent savings while Sears rounded out the top five at 50.19 percent. The top five may come as a surprise to many readers, but when you compare some of these top end stores to discount chains such as Walmart, Big Lots or Costco. However, because prices are already significantly lower in these stores for similar products, it stands to reason that their average Black Friday discount percentage may appear lower overall. There are plenty of stores offering substantial savings beyond the top five. The most notable stores with discounts with an average savings between 35 to 50 percent Walgreens (46.74%), OfficeMax/Office Depot (43.89%), Kohl’s (39.89%), Staples (38.56%), RadioShack (36.49%), K-Mart (35.91%) and Target (35.61%). Perhaps the most disappointing on the list of Black Friday deals is Best Buy and Walmart, barely coming in at a 32 percent discount. Many would think that discount retailers would be on the top end of discounts regardless of possibly already discounted pricing in their store. Why? Because of the trend shift from brick and mortar retailers to online stores. Cyber Monday has put a dent in the sales that the retailers are seeing on Black Friday. This brings us to the most surprising number yet. On Black Friday, Amazon discounts are barely above 26 percent, putting them near the bottom of the list of top 22 retailers. So, ultimately, who is last place on the list? Big Lots and Costco, coming in at 25.24 percent and 21.14 percent respectively. While all this information is good to know, one must try and remember that these discounts did not take into account the difference in the starting price for similar or the exact same products. Is the post office open on Thanksgiving Day? No, the post office isn’t open on Thanksgiving Day. Thanksgiving isn’t celebrated on the same day each year since it falls on the fourth Thursday of November. This year it’s being celebrated on November 27, 2014, and it’s considered an official United States government federal holiday. Since the USPS is a part of the federal government, the USPS (and all its local branches) close on Thanksgiving Day to observe the federal holiday. This means there isn’t regular home and business delivery mail service, so you won’t be getting your mail delivered. While postal employees will have the day off, there still may be an opportunity to utilize basic postal services. Although local postal branches are closed for regular postal services, many will allow you to take advantage of self-service machines they may have. Thanksgiving (and other federal holidays) are treated much like a typical Sunday when the post office is closed, and they may have a number of self serve options available to you. All post offices will have box and letter drops where you can leave your mail to send. Larger post offices may have automatic package weighing machines which will allow you to weigh and buy postage for a package or letter. If your local post office has PO Boxes, these will usually remain accessible if they are typically available to use on Sundays. The self-services available at post offices will vary from post office to post office, so it’s impossible to give an accurate list of exactly what will be available at your local post office. The best course of action is to contact your local post office and ask what self-services will be available if you have any doubts. Is the post office open on the day after Thanksgiving? Yes, the post office is open on the day after Thanksgiving. The day after Thanksgiving (Friday, November 28 in 2014) is considered a regular weekday by the post office and the USPS and local post offices will be open for their typical Friday hours. Home and business mail will be delivered. Is the post office open on Thanksgiving weekend Saturday? The post office may or may not be open on the Thanksgiving weekend Saturday. 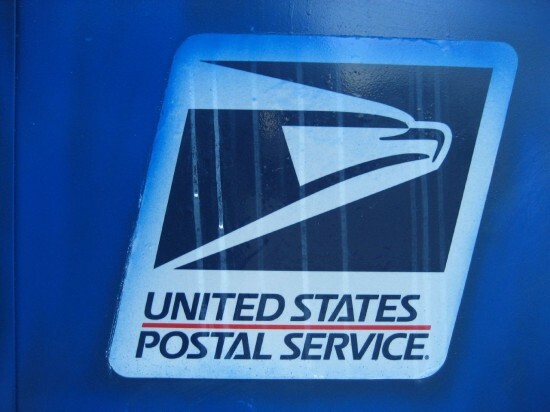 The first Saturday after Thanksgiving (Saturday, November 29 in 2014) is a regular workday for the USPS. Local post offices which are usually open on Saturday will be open on the 29th. In some areas, especially in places with small post offices, local post offices close on Saturday, but many large post office branches remain open although they may have shorter hours than they do during the week. Mail to home and office will be delivered. Is the post office open on Thanksgiving weekend Sunday? No, the post office isn’t open on Thanksgiving weekend Sunday. The Sunday after Thanksgiving (Sunday, November 30 in 2014) is a typical Sunday for the USPS. As such, local post offices will be closed and there won’t be regular mail delivery to homes and businesses. While we are almost at the end of 2014, there is one additional federal holiday when post office will be closed in 2014, and that is Christmas Day, which is Thursday, December 25. Since the USPS will be closed on Thanksgiving Day, you may wonder if other mail delivery companies like UPS and Federal Express will be operating. Is UPS Open on Thanksgiving Day? No, the United Parcel Service isn’t open on Thanksgiving Day, but UPS holiday and UPS Express Critical will be available. The company will resume regular mail delivery service the day after Thanksgiving. Is Fed Ex Open on Thanksgiving Day? No, Federal Express isn’t open on Thanksgivings Day. The company will resume making mail and package deliveries the day after Thanksgiving.